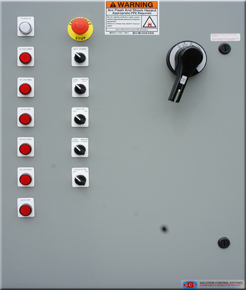 Single Winding Two-Speed Starter - Solution Control Systems Inc. Single Winding Two-Speed Starter - Solution Control Systems Inc. Single Winding Two Speed Motors has a single winding with multiple taps, the winding portions are connected in series and parallel to achieve low and high speed. These motor starters have 3 contactors to connect the windings in different configuration. These motors are less expensive and lighter than separate winding motors but the motor starters are more expensive and complicated than the separate winding motor starters.